The only true limitations we face in life are the ones we impose on ourselves. 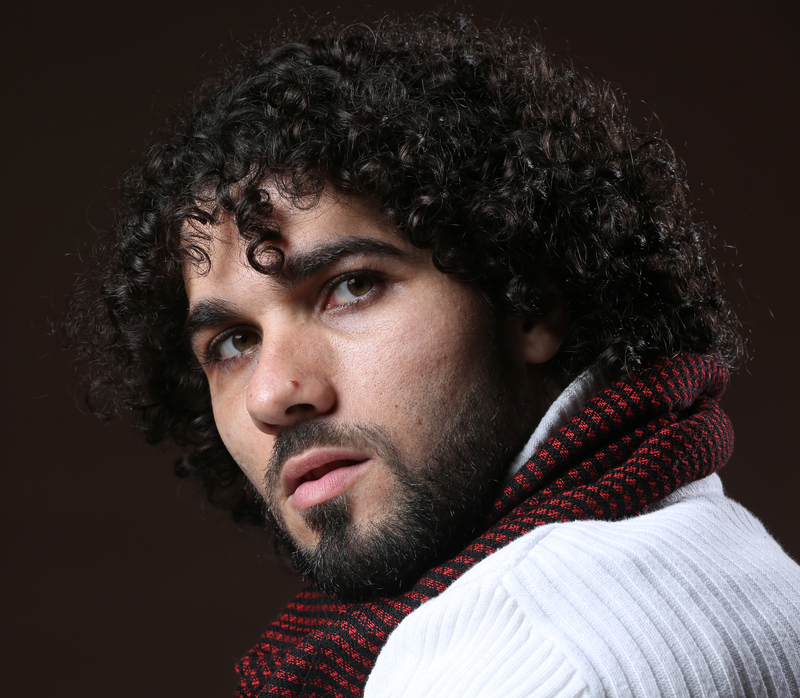 My name is Moustie (Moustafa Ardati), I am 32 years old and was born with Cerebral Palsy. Continuously striving to achieve my goals of independence and walking one day has been a path towards success. There have been many hardships, lessons, mistakes made and things to be grateful and thankful for along the way. Cerebral Palsy has been quite challenging. It affects my fine-motor skills and speech, causing daily pain through involuntary movements, spasms, cramps, and constant taut and stiff limbs. For the first twenty-five years of my life, I have been dependant on others; as I start my day, throughout the day and as the day meets its’ end. I watched others complain about the little amount of independence they had, while I hadn’t any. I could only dream of where I would have been had I any. Over the last six years, my life has changed and improved beyond measure. With the help of qualified and highly experienced individuals, having the right program and level of assistance, my previously impossible goals for the first 25 years of my life are now becoming reality. My hard work, dedication, persistence and consistency paying off are something I am really proud of and excited about. Achieving new things on a daily basis that are often taken for granted by others is a priceless feeling. I love setting and accomplishing new goals, pushing my mind and body beyond what is thought as possible. As I have built up my immune system, strength, flexibility and range; there has been countless improvements and ‘first times’ along the way that should never be taken for granted such as eating most foods independently, drinking from a water bottle without having to worry about spillage, walking short distances with support and using my right arm, as opposed to previously, wherein I was unable to do so due to constant stiffness. Since beginning personal training my speech has improved visibly. I am now speaking a lot more clearly, confidently and without hesitation. The pain was, unfortunately, a constant in my life. Since I commenced training, I no longer experience prolonged periods of pain and muscle spasms. Over the past four months, I have improved over 500% and continue to improve on a daily basis. Exercising has given me the life I never had; the life which I wished to have. I am now able to enjoy my hobbies, focus on work and concentrate on my future endeavours. In 2007, I was awarded the Joey Mittiga Youth award (to help and support inspiring sixteen to twenty-five year old people with disabilities achieve their goals) and am a part of the Cerebral Palsy Alliance young leaders program. In 2014, I made my international debut and become a Dual-International in a short space of four months. Also become the first Australian to score against the world champs at the time – USA. I live a life filled and fuelled by gratitude! Throughout my life, I have had to deal with my fair share of hardships and individuals telling me that I won’t amount to anything nor get any better. In fact, I was told by doctors that by the age of 30 (Now 32), I would require 24-hour care and be in a nursing home. Fortunately, little did they know; I am a very self-motivated individual who thrives on negativity and strives to achieve things that are thought of as being next to impossible or have never been done before. My belief is being different is what makes each and every one of us unique and beautiful. This is why I have formed my business and stand by my Stay True Be You message and motto of 'Be Yourself', 'Better Yourself' and 'Believe in Yourself' as being the key to succeeding in one's life. Too often individuals are told or pressured into acting a certain way or feeling like they are inadequate through peer pressure, media, magazines, and celebrities. My vision is to hold seminars and school programs globally, motivating, inspiring and making a difference in people’s lives all around the world. I hope to help and empower others by instilling our 'Stay True Be You' message in our next generation, young and old; encouraging them to be true to who they are and to believe in themselves. 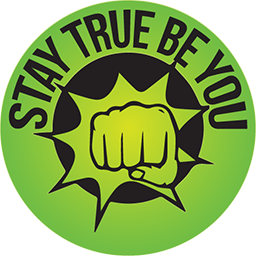 Moreover, Stay True Be You aspires to motivate and inspire individuals to follow their dreams and stay true to who they are. Our focus is to support and give one the necessary skills to get through the challenges in life and flourish, becoming the best version of themselves, having a greater understanding and appreciation of what their true strengths are and how to maintain a balanced life, filled with health and wellness. We look forward to having you be a part of our Stay True Be You movement and our growth into the future; your support is greatly appreciated.